Refusing to reengage diplomatically with North Korea would be a serious blow to U.S. national security interests. Right now, the world’s attention is focused firmly on the negotiations over Iran’s nuclear program. But there’s another country that deserves at least as much attention, if not more: North Korea. The hermit kingdom’s nuclear weapons program is looking more and more dangerous these days. Recently, Admiral William Gortney announced that it is now the United States’ official assessment that North Korea is capable of mounting a miniaturized nuclear warhead atop an intercontinental ballistic missile. This is a significant and extremely threatening development because it means that North Korea may actually have the capability to target the United States with a nuclear weapon. In spite of this revelation, the United States continues to give North Korea the cold shoulder diplomatically. The major avenue for negotiations over the DPRK’s nuclear weapons has historically been the Six-Party Talks, but these talks have been stalled since 2009. The most recent attempt at diplomacy was the 2012 Leap Day Deal, which broke down when North Korea launched a long-range rocket, in violation of the agreement. Since then, the U.S. position on restarting negotiations has been that North Korea must take steps towards denuclearization before talks can begin again, and that talks can be focused only on convincing North Korea to give up its nuclear program completely rather than on limiting the program. However, as others have pointed out, this “strategic patience” approach is a recipe for inaction. Given the dangerous direction that North Korea’s nuclear weapons programs is headed, we can’t afford to give them the silent treatment forever. 1) Negotiating over North Korea’s nuclear program is the same as legitimizing it. Many opponents of restarting negotiations with North Korea worry that any diplomatic engagement that is focused on limiting their nuclear weapons program – rather than convincing them to give it up entirely – would somehow be equivalent to legitimizing the DPRK’s possession of nuclear weapons. This is a false equivalency. We don’t have to accept that a program is legitimate in order to negotiate limits to it. Logically, it seems that doing nothing and allowing a program to continue amounts to tacit acceptance more so than working to roll a program back and prevent it from becoming more threatening. There are plenty of ways that the United States can effectively signal to the international community that it considers a nuclear weapons program legitimate – inking a civil nuclear agreement, say, or supporting a country’s bid for Nuclear Supplier’s Group membership – but negotiating limits to a country’s nuclear weapons program is not one of them. Experts agree that barring some sort of cataclysmic event such as regime change, the chances that North Korea will give up its nuclear weapons are virtually nil. It is understandable that the United States may not want to repeal sanctions that were initially imposed as punishment for the DPRK’s development of nuclear weapons for anything less than the full dismantlement of said weapons. But given the reality of the situation, refusing to negotiate out of squeamishness that we might somehow give North Korea’s nukes a patina of legitimacy seems like cutting off our nose to spite our face. 2) North Korea already has nuclear weapons, so there’s little we can do about it at this point short of persuading them to denuclearize. Wrong. As Jeffrey Lewis has pointed out, things are unlikely to get better but they can certainly get a lot worse. There’s a significant difference between nominally possessing nuclear weapons and actually being able to use them to threaten the United States and its allies. North Korea was in the former category ten years ago, but today is hovering on the edge of that dangerous distinction and may have passed into the latter category already. A small number of nuclear weapons is relatively useless unless you have the ability to deliver them to a target. In the past decade, North Korea has developed an arsenal of ballistic missiles (including possibly an intercontinental ballistic missile that could reach the continental United States) and may now have a nuclear warhead small enough to mount on those missiles, according to Admiral Gortney’s statement. What this means is that North Korea’s nuclear weapons are significantly more dangerous today than they were a decade or even five years ago. The good news is that things aren’t hopeless yet. North Korea has yet to conduct a full test of its ICBM or of a miniaturized warhead. Until they do that, even Kim Jong-Un doesn’t know whether or not they’ll actually work. Testing is a critical step in the process, so halting progress on North Korea’s nuclear weapons program now would still represent a significant victory for U.S. national security. On the flip side, failing to limit the DPRK’s nuclear development now means that its program will only get exponentially more dangerous in the years to come. 3) North Korea is fundamentally untrustworthy and all past agreements have failed, so what’s the point in trying? In fact, both the United States and North Korea have scuttled past agreements, so based on the track record the North Koreans are no more untrustworthy than we are. It’s true that North Korea killed the 2012 Leap Day Deal, but it was the United States that sunk the 1994 Agreed Framework. 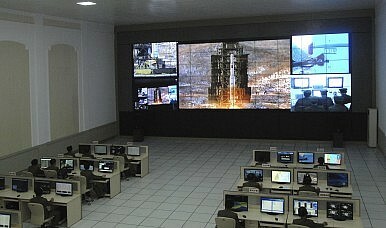 Former Bush administration official John Bolton admitted himself that the DPRK’s centrifuge program – alarming, but not technically in violation of the 1994 deal – “was the hammer I had been looking for to shatter the Agreed Framework.” On discovering the centrifuge program in 2002, the United States promptly suspended its obligations under the agreement. This chain of events led many spectators to conclude that the Agreed Framework was a failure, and it has been used ever sense as an example of the futility of nuclear diplomacy. However, the Agreed Framework successfully stalled the development of the DPRK’s nuclear program for eight years, and it was only after the United States killed the agreement that North Korea withdrew from the Nuclear Non-Proliferation Treaty and developed nuclear weapons. Does that make the Agreed Framework a failure, or was the Agreed Framework a success and the Bush Administration’s decision to withdraw from it the real failure? According to Robert Galluci, who was head U.S. negotiator at the time, North Korea would currently possess many more nuclear weapons if the Agreed Framework had not delayed their progress for so many years. In a world where geopolitical realities can change quickly and unexpectedly (see: fall of the Soviet Union), kicking the can down the road until the situation improves can be a perfectly reasonable strategy. Freezing the North Korean nuclear program in its current state would unquestionably be preferable to allowing it to develop unchecked. Realistically, the United States only has so much political capital it can expend on nuclear negotiations, so the outcome of the Iran talks may well determine whether or not the administration pursues diplomacy with North Korea. However, even if the Iran negotiations fail, refusing to reengage diplomatically with North Korea would be a serious blow to U.S. national security interests. The United States can’t afford to sit smugly atop the moral high ground while North Korea progresses further and further toward a genuinely threatening nuclear weapons capability. Liz Whitfield is a program assistant for the Nuclear Policy Program at the Carnegie Endowment for International Peace. This article was previously published on the CSIS Project on Nuclear Issues blog. It has been republished with kind permission.